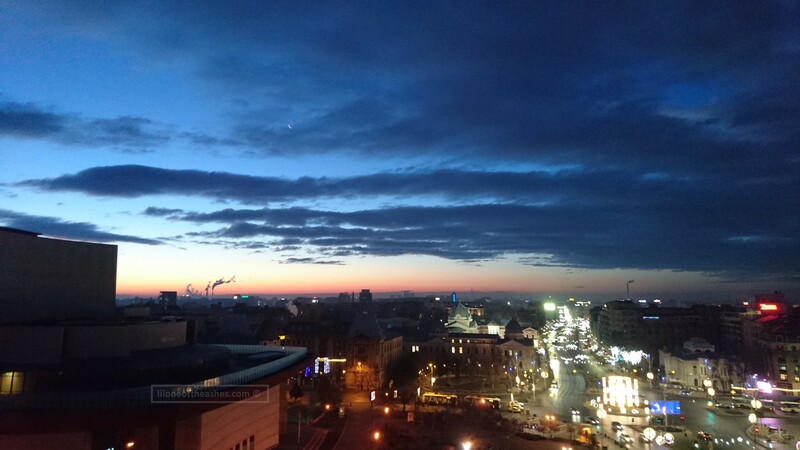 We spent the first two nights of our stay in Romania, in the heart of the city – Bucharest. We figured two nights would do it justice, before we went on our road-trip to the outskirts towards Brasov. Extremely glad that we started our Romanian holiday in Intercontinental Hotel Bucharest – situated just a 10-minute walk to the Old City and is 20-minutes by car from the airport. We were offered the Junior Suite with access to the Club Lounge, which I highly recommend if you are travelling with little ones. b) Two separate bathrooms as well, one to each room. There was a bathtub/jacuzzi in one (perfect for giving a bath to the little people), and a shower cubicle in the other. c) Toiletries, all from Loccitane. Woohoo. d) The Intercontinental does provide cots for babies. Pretty decent one as well – have a peek at the wooden cot, luxury for the little ones! e) Club Lounge on the 21st floor. This was super handy for families travelling with little ones as they’re in bed by 7:30pm which makes it quite difficult to go out to get food when it’s snowing and 0 degrees outside. We had a romantic christmas dinner here (ha ha, life as parents ay) whilst she slept in the pram next to us. We could help ourselves to as much Romanian wine as we wanted, hot food – steak and potatoes, Romanian pork bean soup, lots of dessert. Oh, and do try the local liquor – Bran. A killer! We chose to dine in the lounge for breakfast as well just due to convenience and comfort. Shout out to the lovely Anemone as well who was on duty the both days that we were there – who helped entertain the little one as well so we could have some breakfast in peace. f) Health Club access on the 22nd floor. There’s something about getting into a warm pool in the evenings, overlooking Bucharest’s night lights, after spending the afternoon walking around town at 0 degrees. There’s a jacuzzi as well which we did bring her in for a little bit, hee hee. g) View from our junior suite. We were on the 8th floor, with balconies overlooking the city. You could see all the christmas lights and decorations from there. And, a beautiful sunrise. And price? Looking at the prices on booking.com, a junior suite would be around 200 Euros a night (varies depending on season) which I think is quite reasonable for what you get. If you don’t need such a large room you could just go for the Club Double Room. Tip : Book through the IHG website as you will get members discount as well! Minor suggestions related to renovation plans have been shared with the hotel team. Disclaimer : We were guests of Intercontinental Bucharest for our stay. Thoughts are our own, though it is entirely up to you to judge. I saw that in the city! Looks like a really nice hotel as well..